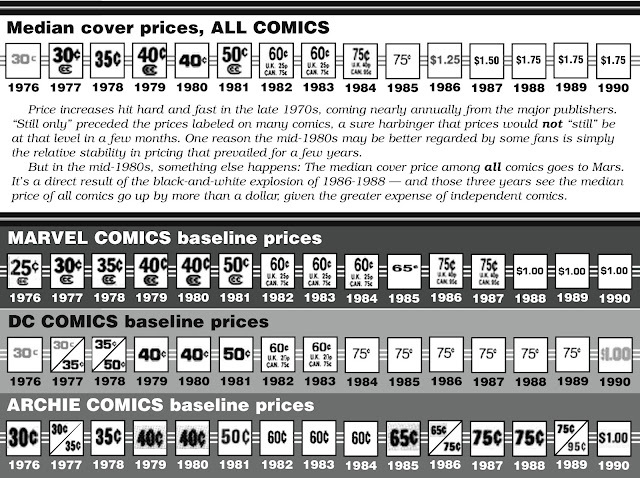 Von Allan has posted an interesting article on comic book pricing in comparison with minimum wage over the years, which prompted me to get online some materials that I've been meaning to post for some time. 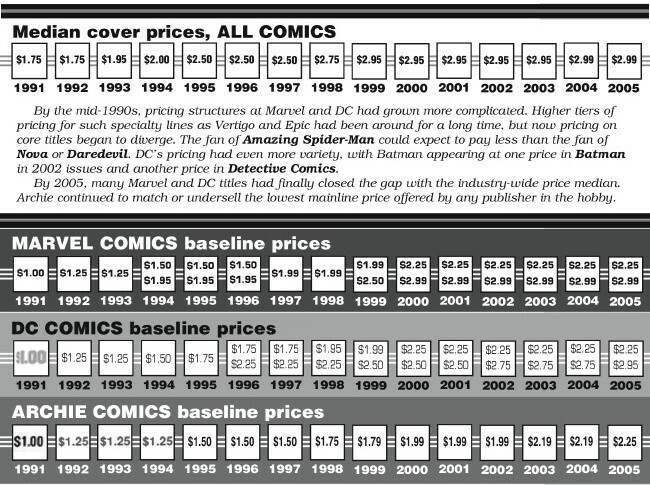 I have not run the same analysis yet for 2005-2011, but it's pretty straightforward to do. 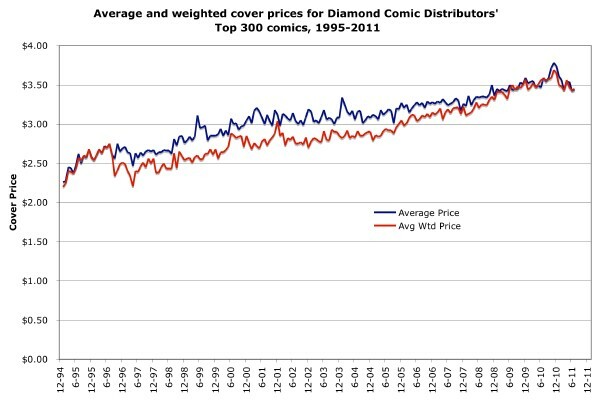 Meanwhile, I also have the average prices of all comics in Diamond's Top 300 from January 1995 to present here, as well as the average weighted prices — which means, the price of the average comic book ordered within the Top 300. 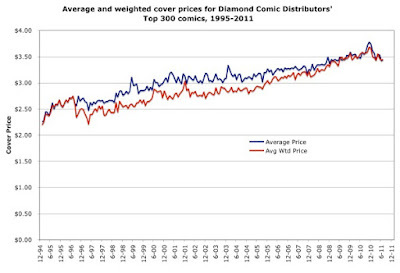 (Basically, you take all the money the top 300 sold for and divide by total number of units.) 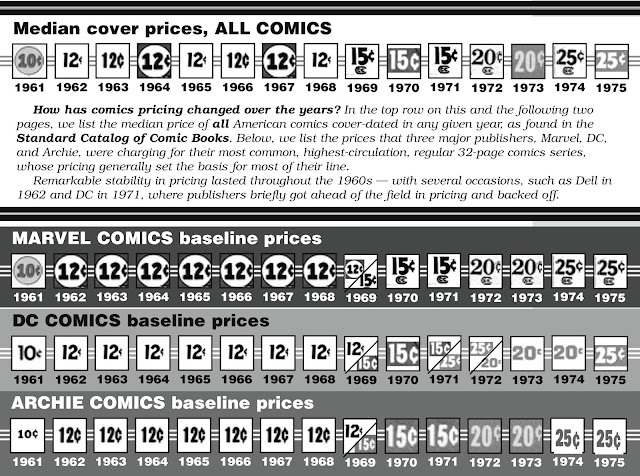 The chart is at right, click to enlarge. Below, are the raw figures that created it — and you will see therein reasons for some of the fluctuations. 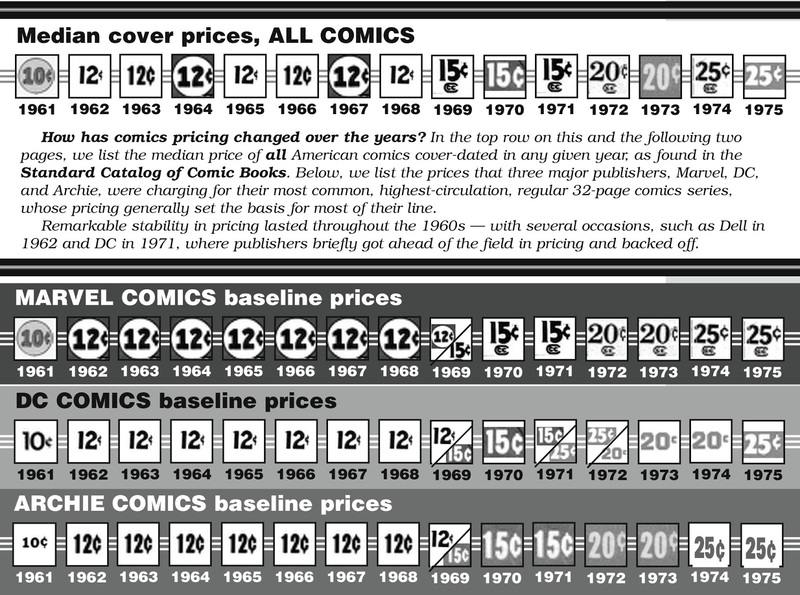 Permanent pages have been posted for these tables in the Vital Statistics section: Cover Prices by Month and Median Cover Prices by Year. 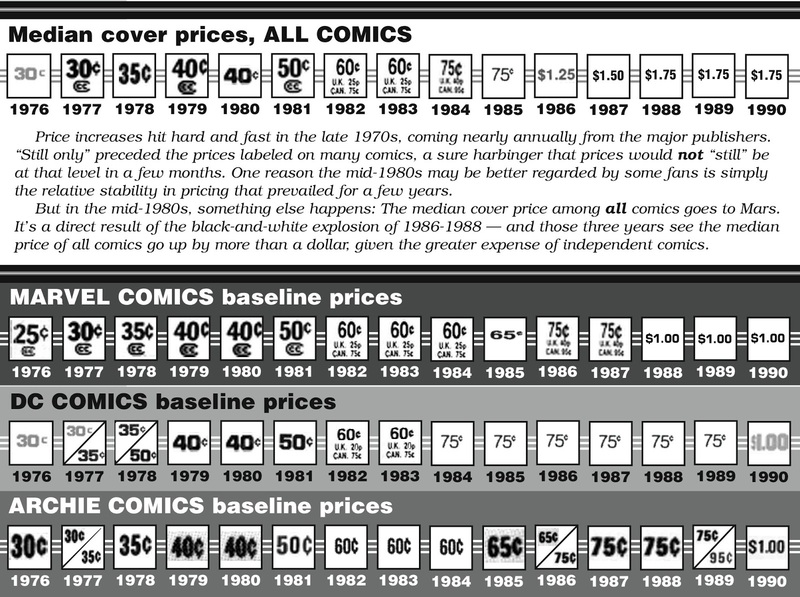 There are other pricing-related posts here, including a history of comics price decreases, and a look at graphic novel pricing. "I loved every moment of this research, Von... bravo. The only thing I worry about is that while your post is getting attention right now, in a few days it will be back to normal and the conversation will dry up. For this reason (your research should live on and fuel other projects!) I strongly urge you to put the data you collected up on http://buzzdata.com/ and link to it from it article. Attach the graphs you've already made as visualizations. Link to this blog post as an article, so that you have a round-trip connection between your interpretation and the raw data you painstakingly collected. We created BuzzData for exactly this kind of scenario. We want to give people across every hobby and profession the ability to easily find data and talk about what it means with other people. They might even have additions to make, or want to be notified when there's updates available. I hope that you succeed in raising awareness of your position through the wide recognition this post is receiving, truly."